Are you looking for a premium restaurant space for the great upscale and smart casual restaurant concept where there is romantic cubby holes around every corner and an outside garden patio that's the envy of Chico's restaurant community? Then you must look at this nearly turn-key restaurant with bar on one of the major corners of The Esplanade. 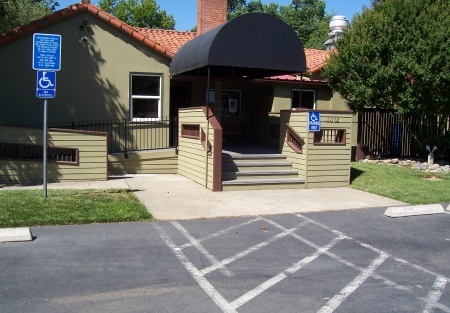 This is a standalone restaurant located in the beautiful college town of Chico, CA known for its wonderful Bidwell Park and Chico State University. It is a turnkey restaurant and bar with plenty of parking and a large, fully landscaped patio, covered by shade trees in the evening. Perfect for events large and small, such as weddings, receptions, birthdays and corporate meetings. Large prep kitchen with two walk-in refrigeration units and a walk-in freezer. Ample storage, work tables and sinks. Cooks line has a 14 foot hood with up-to-date Ansul system. This is a unique restaurant with over 4,700 sq. ft. plus an outside garden patio with seating for 125, perfect for large weddings and parties. Originally a ranch house, it was converted into a restaurant suited for casual or fine dining with romance spelled all over it! The restaurant is located in an area of new growth including apartments, housing and business and is ideal for a sports bar, fine dining, or your own concept. Owner is the landlord and wants to find an operator with experience. Base rent is only $3000 or 6%, which ever is higher. The owner would entertain selling the property. COME TAKE A LOOK and LET'S TALK! This is a personal listing of Dana Ward. SellingRestaurant is only advertising this listing for Mr. Ward and SellingRestaurants or Paramount Restaurant Brokers, inc. does not represent Mr. Ward in this transaction. Suited for Weddings, Reunions, Corporate Functions etc.